LSLBO educators specialize in developing and delivering fun, hands-on, educational programs to people of all ages! Every year thousands of people take part in our environmental education programs on topics ranging from migration to amphibians and everything in between. We want to share our expertise with you so we are working on developing our lesson plans and resources to put on our site. Download “ready to go” Elementary Lesson plans on the website of our Education Partner, the Lesser Slave Forest Education Society! 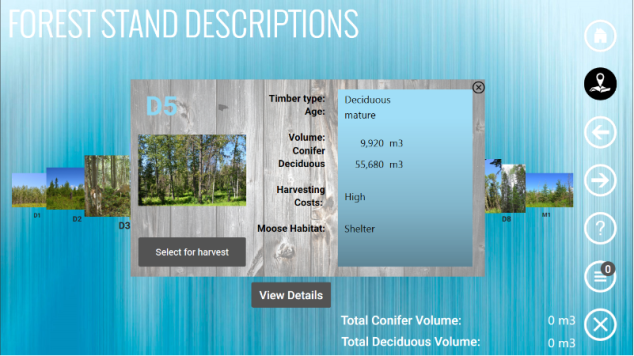 They are full of activities, ideas and resources to connect your students with the Boreal Forest. Thank you to the Forest Resource Improvement Association of Alberta for helping to fund the development of these great programs! Forestry is more than just managing the trees! There are a lot of demands on the boreal forest. It provides jobs, it must sustain healthy wildlife and plant communities and it is home to many indigenous communities. To maintain a healthy and sustainable boreal forest, foresters must consider all of these needs when they are coming up with a plan. The Boreal Science Kits introduces secondary students into some of the real-world challenges of forest managers and how they work with other stakeholders to “Balance the Boreal”. All of these science kits include detailed lesson plans, student worksheets handouts, as well as many hands-on activities for students. The Boreal Forest may have abundant resources, but there are some species of wildlife that are experiencing significant population declines due to habitat loss or other environmental impacts. Through completing a case study on one of Alberta’s Boreal Species at Risk, students will gain an understanding of what it means for wildlife to be at risk, specific factors that may be contributing to their decline, and how the Species at Risk Act helps to ensure that we maintain healthy wildlife populations in the Boreal Forest. 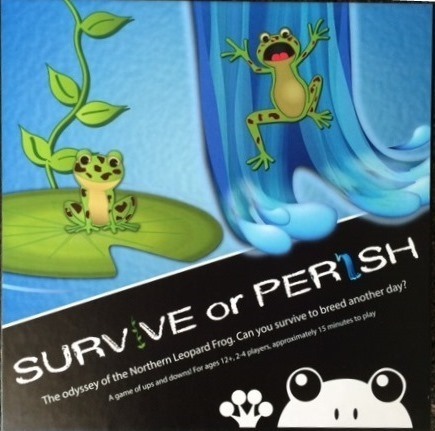 Download and print our entire lesson plan kit including lesson plans, worksheets and species at risk fact sheets. 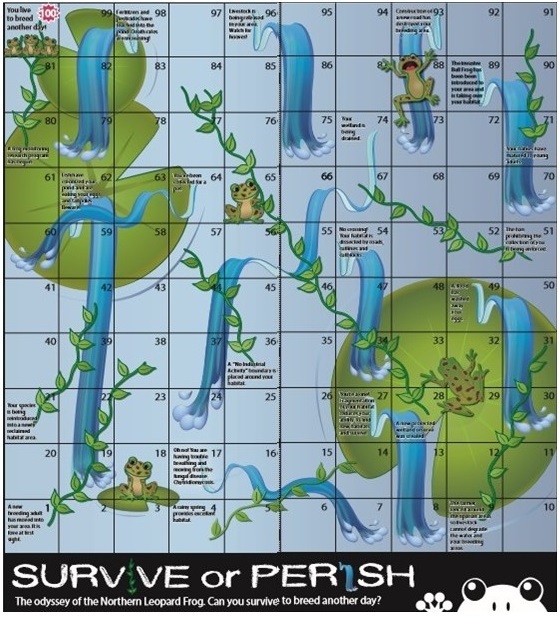 Download and print the “Survive or Perish” board game in colour (page 1 and 2) or black and white (page 1 and 2) The board game prints best on 11×17 paper. Instructions for the game are here. We need the boreal forest for many things including economic prosperity, social values such as recreation, cultural traditions, and healthy habitats for water, wildlife and plants. Developing plans that incorporate all of those needs is a real challenge. 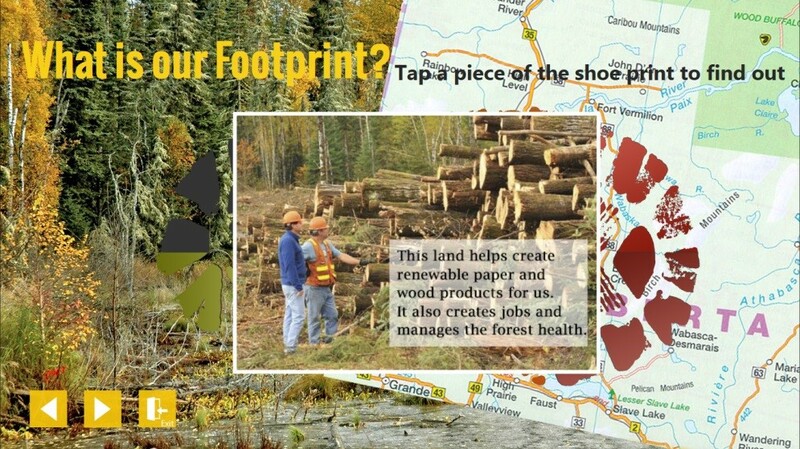 Students will learn about integrated land management (ILM) and how it is used to reduce our ecological footprint within the Boreal Forests of Alberta. Students will also examine land use responsibilities both as an individual and as being part of a community: identify conflicts that can occur on the landscape, learn that there are consequences for each decision made as well as understanding that there is a method to assist the decision-making process. Explore some of the ways that Indigenous rights-based interests are incorporated into forest management activities in the boreal forest. 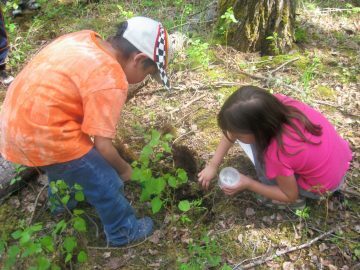 This social/ science kit focuses on the concept of Indigenous traditional use and will provide resources including a 25 minutes video and a student problem solving activity to guide classroom discussions about Aboriginal traditional uses and boreal forest management. Apple Devices: For Apple devices such as iPads open the App Store on the device and search Balancing the Boreal Kit to download the free App. Your iPad should be running iOS 9 or later to adequately run the App without issues. Avoid using any iPad version inferior to iPad 4th generation as the performance of those older devices is not sufficient.